One senator said he would propose a bill to "protect honesty and principle in the athletic arena"
A Supreme Court ruling has paved the way for states all across the U.S. to allow sports gambling, and it all started locally in the State of New Jersey. So how will this impact you? We take a look. Many of the major U.S. sports leagues indicated Monday, after the Supreme Court struck down a law banning gambling on individual sporting events, that they would be willing to work on a legal framework, NBC News reported. But some called on Congress to create a uniform set of rules, as did Sen. Orrin Hatch, R-Utah, who said Monday he would propose a bill to "protect honesty and principle in the athletic arena." Justice Samuel Alito wrote for the court that Congress may choose to regulate sports gambling but states are free to do so if it doesn't. As many as 32 states have already prepared or are preparing legislation regulating sports gambling. 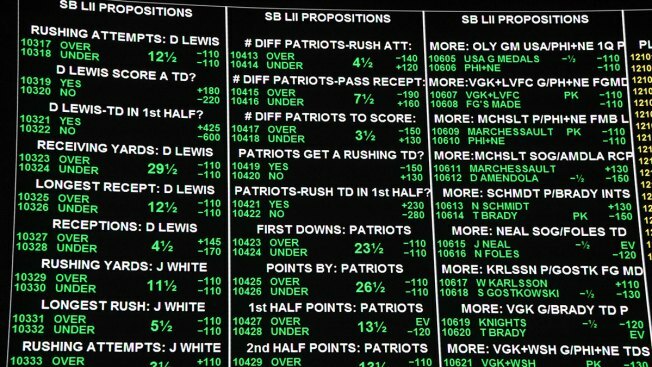 "Leagues want sports betting operators to be required to use league-approved sources of data for setting lines and bets," said Chris Grove, a gaming sector researcher. "And they want the power to be able to stop betting on minor leagues, where players are earning less money and are more vulnerable to bribes."